The National Guardianship Network (NGN) is a collaborative group of national organizations dedicated to effective adult guardianship law and practice. First convened in 2002, NGN has played a leadership role in advancing guardianship standards, best practices, and education. 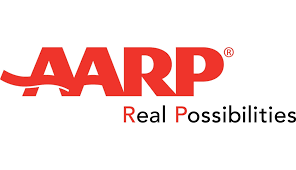 The AARP Public Policy Institute informs and stimulates public debate on the issues we face as we age. The Institute promotes development of sound, creative policies to address our common need for economic security, health care, and quality of life. The mission of the ABA Commission on Law and Aging is to strengthen and secure the legal rights, dignity, autonomy, quality of life, and quality of care of elders. It carries out this mission through research, policy development, technical assistance, advocacy, education, and training. The Real Property, Trust and Estate Law Section is a leading national forum for lawyers, and currently has over 20,000 members. The Real Property Division focuses on legal aspects of property use, ownership, development, transfer, regulation, financing, taxation and disposal. The Trust and Estate Division focuses on all aspects of trusts, estate planning, elder law and special needs planning, employee benefits, insurance, and probate, adult guardianship, and trust litigation. The American College of Trust and Estate Counsel is a national organization of approximately 2,600 lawyers elected to membership by demonstrating the highest level of integrity, commitment to the profession, competence and experience as trust and estate counselors. Its members work to teach those who aspire to enter the field and to improve and reform laws, procedure and standards while working with their peers and other professional organizations. 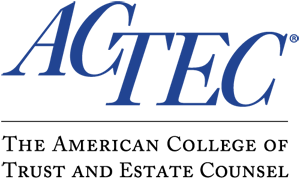 The National Academy of Elder Law Attorneys, Inc. (NAELA) was founded as a professional association of attorneys who are dedicated to improving the quality of legal services provided to people as they age and people with special needs. The NAELA membership is comprised of attorneys in the private and public sectors who deal with legal issues affecting people as they age and people with disabilities. Members also include judges, professors of law, and students. [Logo needed] The National Adult Protective Services Association is a national non-profit 501 (c)(3) organization with members in all 50 states. Formed in 1989, the goal of NAPSA is to provide Adult Protective Services (APS) programs a forum for sharing information, solving problems, and improving the quality of services for victims of elder and vulnerable adult mistreatment. The National Center for State Courts is an independent, nonprofit court improvement organization. All of NCSC's services — research, information services, education, consulting — are focused on helping courts plan, make decisions, and implement improvements that save time and money, while ensuring judicial administration that supports fair and impartial decision-making. 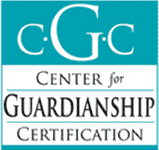 NCSC’s work on elder issues and adult guardianships can be found at their Center for Elders and the Courts. The National College of Probate Judges (NCPJ) is the only national organization exclusively dedicated to improving probate law and probate courts. "Probate jurisdiction" varies from state to state. However, generally, all probate courts handle cases involving the estates of deceased persons, adult guardianship and protective proceedings, and mental health and addictive disease treatment, and matters concerning developmentally disabled persons. In some states, probate courts handle adoptions, certain juvenile matters, and/or guardianship and conservatorship of minors. The National Guardianship Association’s mission is to advance the nationally recognized standard of excellence in guardianship. NGA represents more than 1,000 guardians, conservators and fiduciaries from across the United States who share this vision. They are professionals, volunteers and family guardians.